iBroken Canada is a customer satisfaction driven company. We are just regular people helping regular people. Broken iPhone 6s glass? Bad iPhone 6s home button? We can fix it. Every single screw goes back to where it came from. The way it should be. Professional iPhone 6s screen replacement Calgary and iPad screen repair. If you’ve tried to fix your iPhone 6s screen repair yourself but aren’t able to finish the job, we can help with that too. You break it, we fix it! The hardware design of iPhone 6S is nearly identical to that of iPhone 6, although the chassis is now made of a stronger aluminum first used by the Apple Watch Sport to improve its rigidity. It is available in gold, silver, space gray, and new for the 6S, rose gold-color finishes. iPhone 6S is powered by the Apple A9 system-on-chip, which the company stated is up to 70% faster than Apple A8, and has up to 90% better graphics performance. iPhone 6S has 2 GB of RAM, more than any previous iPhone and also supports LTE Advanced. The Touch ID sensor on the 6S was also updated, with the new version having improved fingerprint scanning performance over the previous version. iPhone 6s glass screens, power buttons, and batteries began breaking soon after the release. The parts across for these models are the same and most repairs can be fixed within an hour. 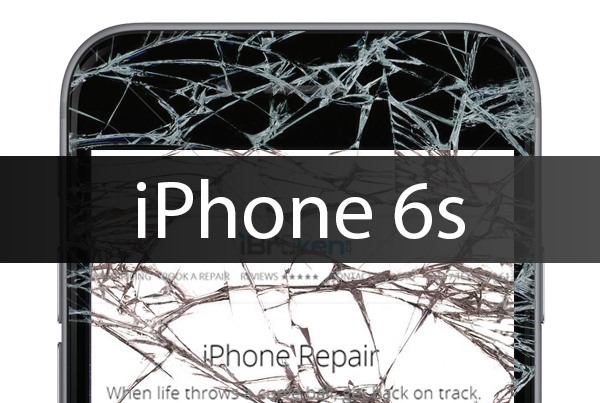 iBroken offers iPhone 6s screen replacements Calgary in just 20 minutes using top grade LCDs and flex cables. iBroken also is easily able to replace the dock connector on the iPhone 6s in about 35 minutes. The Dock Connector on the 6s is the same component that regulates the charging, the Touch ID sensor, and the headphone jack. If your iPhone 6s has any issue pertaining to that listed above, this is the repair you’ll need. If your iPhone 6s Camera doesn’t open or is blurry you may need a new camera. iBroken can replace this as well. Contact us today so we can fix it and get your iPhone 6s back up and running smoothly!